When: March 3rd, 2011 – from 9:30am to 1:30pm. Please Call Kizito Malumba (of Youth Aid Uganda, our hosting partner)to confirm participation and regarding the venue 0782323191, or 0704323191. 4. Introducing the Storytelling project — helps with evaluation and raising awareness about issues. #3 – Introducing our Storytelling project. We’ll explain how thousands of brief narratives from East Africa can transform your understanding of your work and improve your monitoring and evaluation. Please respond to reserve a spot. You are encouraged to invite members from other organizations your work with. Please have them email me to reserve a spot as well. Please alert any of your partners that are not already on GlobalGiving that the deadline to self-nominate and submit Due Diligence for the next (April) open challenge is March 1st, 2011. Refer them to http://www.globalgiving.org/open-challenge-nomination/ for what is required. Note that we will provide drinks and a lunch, but we will NOT REIMBURSE your travel or lodging expenses. This training is free and open to any organization that wishes to attend, as long as they RSVP in advance. 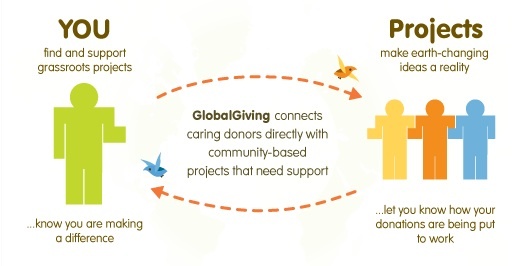 About Storytelling: GlobalGiving has launched a storytelling effort that should provide you (and all organizations in your community) with timely information about the complex issues, needs, and efforts that affect your work. African Women and ICTS: Investigating Technology, Gender and Empowerment. I took the pleasure to attend the GRACE book launch yesterday afternoon. The Gender Research in Africa into ICTS for Empowerment book comprises of 17 Chapters divided into 4 main parts. “I was inspired by women who work as payphone vendors in Hoima District”, Prof. Grace Bantebya one of the authors narrated the experiences of these women in the use of ICTs to generate income. There are many success stories of these women where they have been used ICTs to improve their incomes and livelihoods. However, she also noted that there are gender issues involved in the use of ICTs. For example cases of failed marriages because men tend to feel insecure when the woman is earning more in the family. The book brings to light the strength and resilience of the women who spoke to the authors. The book also covers sections that have not been covered before e.g. 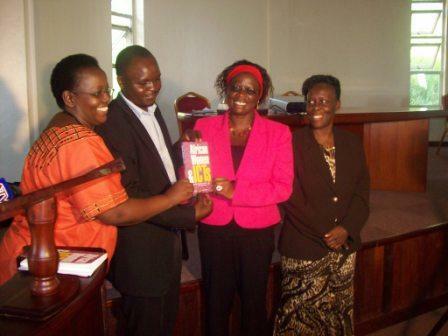 the intersection of ICT and Violence against Women Prof. Grace Bantebya said at the book launch. It also answers questions like the role of ICTs in promoting the empowerment of women and women groups in Africa. Minister of State for ICT launches the book titled "African Women and ICTs"
women advocates, the authors and non-profit organizations for their work on use of ICTS to empower the African woman. 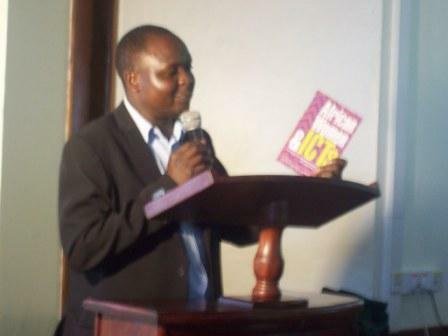 He bought ten (10) copies of the book which he will donate to a small telecentre located in Masaka district to enable rural women access the information in this book. 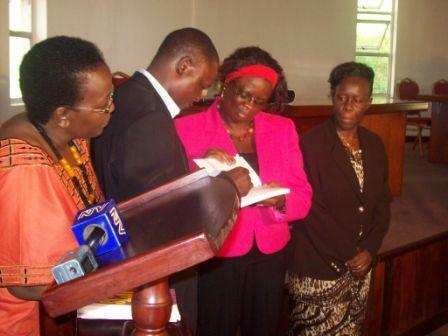 He also gave 5 computers to the Department of Gender – Makerere University as a contribution to continue the effort of empowering women through the use of ICTs. Download a free copy of African Women and ICTs from the IDRC website under the Books section. I commend the authors for this valuable initiative. Above all I salute every single African woman, young and old, who is boldly navigating these troubled waters. By providing a deeply researched investigation of the role of African women in the society and in the specific sphere of information technologies, the authors of this study have substantially enriched our understanding of development problems in general and African development in particular. We have reason to be grateful. Those interested in women’s empowerment and its relationship to technology will find this book a highly innovative approach to the subject, combining a unique perspective with case studies from a wide variety of African countries and settings. A detailed and absorbing account of how African women are using new technology to transform their lives…. This important book celebrates their remarkable achievements, and explores how technology both enriches and complicates African society. Entrepreneurship and ICT in Uganda. The issue of entrepreneurship and ICT for development in Uganda today still remains a big challenge. In a country where infrastructure is still poor and not well distributed throughout to benefit the local people as well as the urban people. I should also acknowledge the issue of immense poverty, unemployment and lack of skills. Different development schemes have come and gone. Some have made an impact and others have done no good at all. Issues of ICT for development and entrepreneurship trainings are not new in our ears, but what is entrepreneurship really? She does not think she is an entrepreneur though because she does not have capital. But she generates some income out of her small garden to support the family. ICT4Development on the other had still remains a very big challenge. Many people still do not understand what the term “ICT” means. All they know is ICT stand for Information and Telecommunication Technology. And every time the term ICT is mentioned, people quickly interpret it as “Internet and Computers”. So when you say Entrepreneurship and ICT, one question keeps crossing people’s minds; “How can computers and internet help to improve on our enterprises?” Simply because thats their interpretation of ICTs in a layman’s language. In a recent five (5) day “Training in Entrepreneurship and ICT Skills “ conducted in Apac District of Northern Uganda, people were surprised to learn that Mobile phones, Newspapers and Radios are also ICT tools. 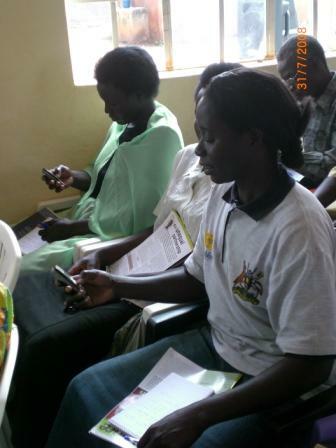 Out of the 45 women participating in the training, 39 own mobile phones and only 6 do not own mobile phones. The training was organized by Women of Uganda Network with support from the NEPAD Spanish fund for African women Economic empowerment to support a project on “Enhancing Income Growth among small and micro women entrepreneurs through the use of ICTs”. The project targets women entrepreneurs from the three districts of Ibanda (Western Uganda), Mukono (Central Uganda) and Apac (Northern Uganda). The purpose of this project is to promote the economic empowerment among small and micro women entrepreneurs in the three districts of Uganda.